Together with the gvSIG 2.1 releasing we publish the new gvSIG website, that includes the old gvSIG Association website as well as the project one, and at the same time a knowledge portal about the gvSIG technology. Besides this new website will be to make the new products of the gvSIG catalog visible, like gvSIG Roads or gvNIX. We want to take advantage of this announcement to thank all the people that have collaborated in making this new version reality, and all the entities that have counted on the gvSIG Association services to solve their needs on geomatics, helping to guarantee the sustainability of the project at this way. We hope you enjoy all the novelties of this version, that are here. We hope 2015 is a year with a lot of novelties, where gvSIG 2.1 and the new website are the first of them. Be aware of them! My idea of this post is to go a little bit further than just telling you about new features. I will add some visual information and links for knowing more about this new improved version. Let´s go…. Principal components. The analysis of principal components is a multispectral conversion, aiming to avoid the use of redundant information in the sidelines of the image. The technique allows to convert a sideline series in new variables called correlated components, that absorb almost all the variability of the data in a subgroup of the initial bands. The advantage is that most of the information is at the first three bands that have been created, that allow to keep almost all the information with less space. Tasseled-cap. The transformation tasseled cap is a conversion more general than the one with principal components, having as well indexes with a concrete physical meaning. So, it´s possible to determine the brightness value, the greenish and the humidity of the soil. The transformation Tasseled is focused on pointing the relevant spectral characteristics the vegetable areas during its development, to be able to take out specific crops and other crops of other vegetable surfaces using the spectrals ranks of the Landsat multitemporal images. Masks by regions of interest. With this functionality, from a previously selected area is possible to make it visible and to have a fixed value assigned by the user on the external side of the interest area or vice versa. Set projection. Set projection to a raster layer of the View. Create multi-file layers. 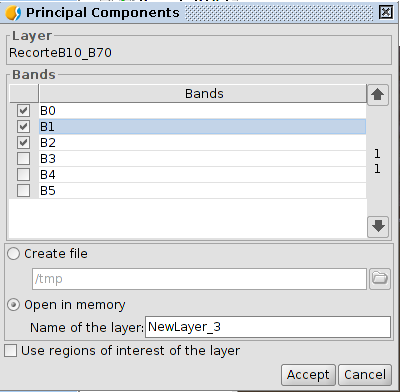 It allows to add more image bands from other files and create new multi-file layers. 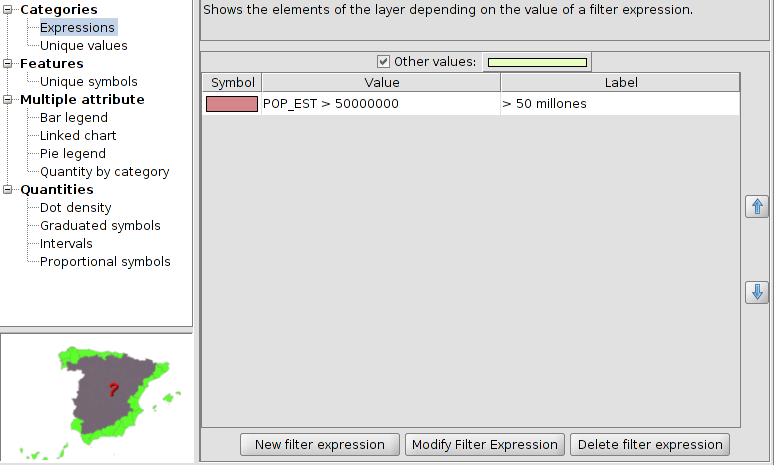 PostGIS raster support. 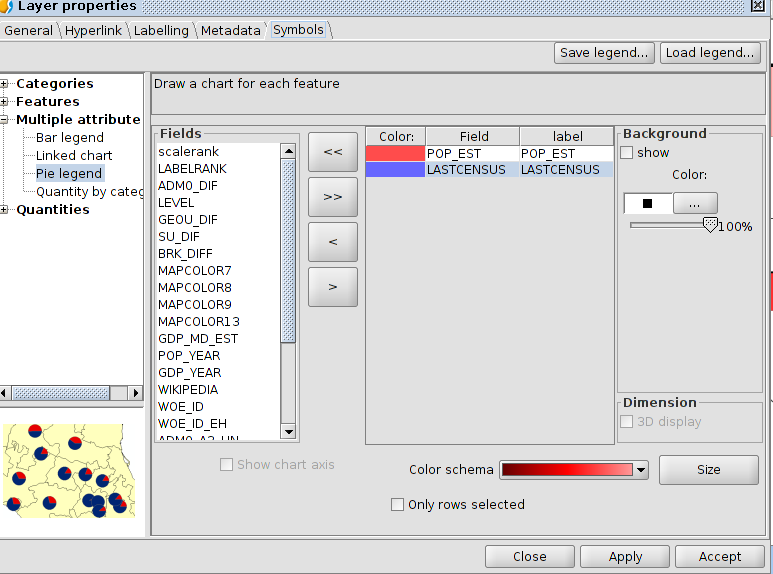 It allows to load in gvSIG, raster layers saved in a PostGIS database. 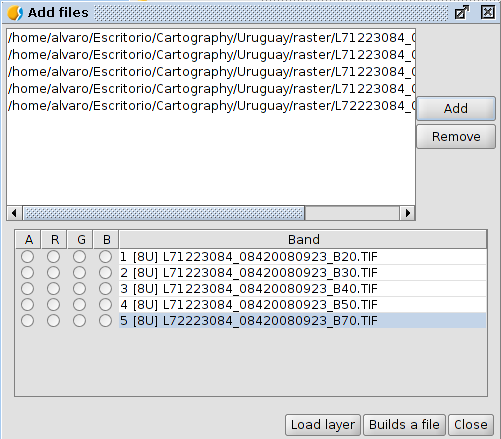 These raster layers will be added to the gvSIG Views and they would be used as local raster layers. Graduate symbols legends. 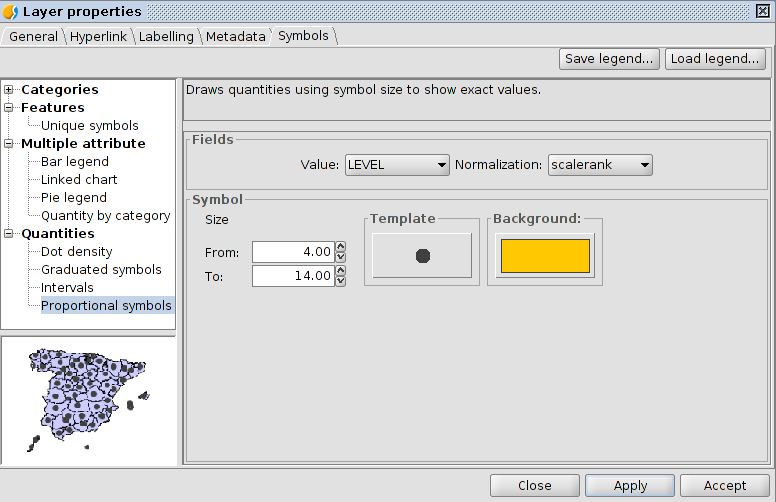 It allows to create legends using the symbols size for showing different value ranks. The quantitative values will be classified in ranks with minimum and maximum values. In each rank, all the entities will have the same symbol. Dot density legend. 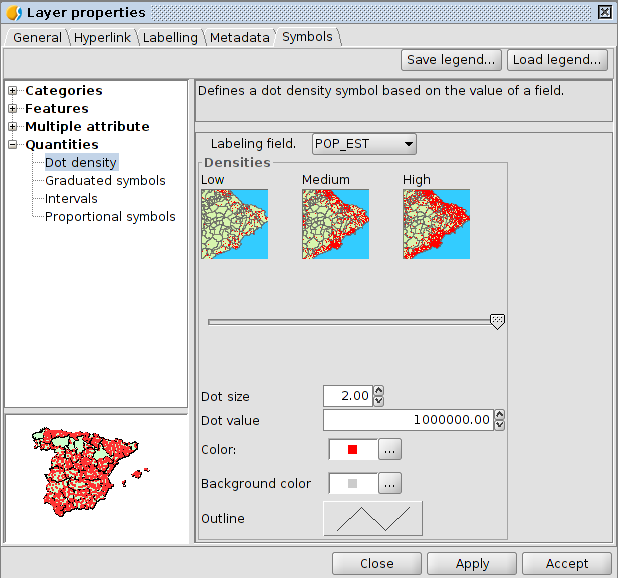 It allows to create legends by dot density for layers with numerical attributes.This type of legend show the quantity of an attribute in a selected area. Each dot represents a specific number of entities. Quantities by category legend. 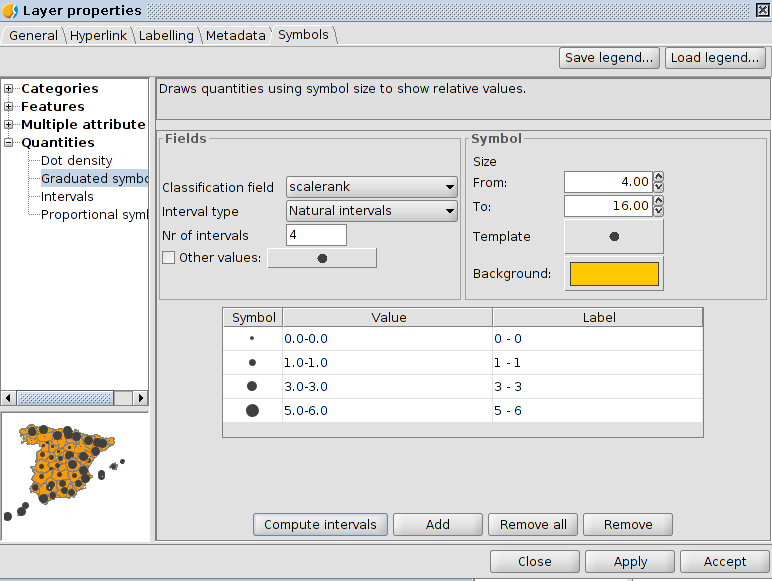 It allows to create legends combining two types of legends in only one: graduate symbols and intervals. Bars legend. 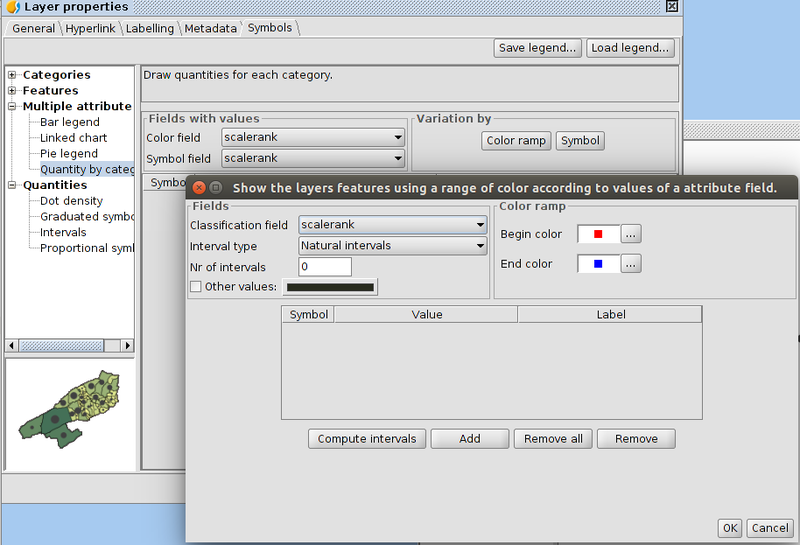 It allows to create bars legends for obtaining numeric attributes of the elements of one layer. Pies legend. 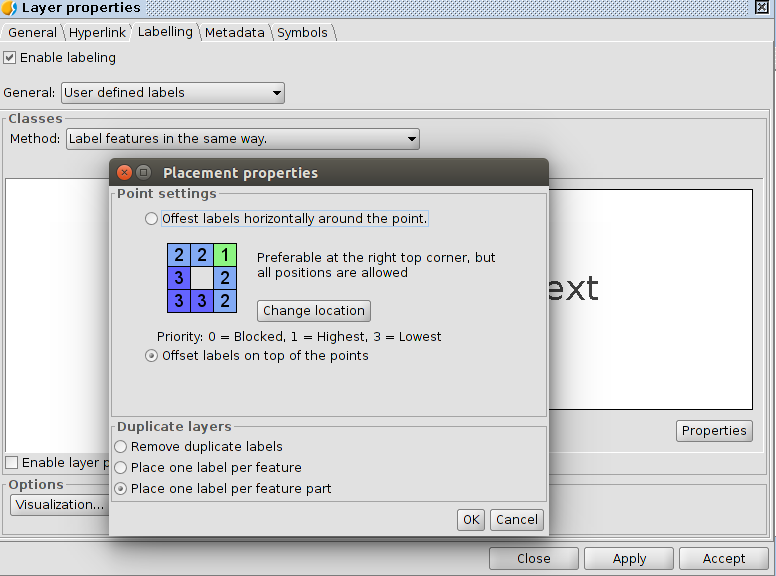 It allows to create pie legends for obtaining numeric attributes of the elements of one layer. Export to KML. 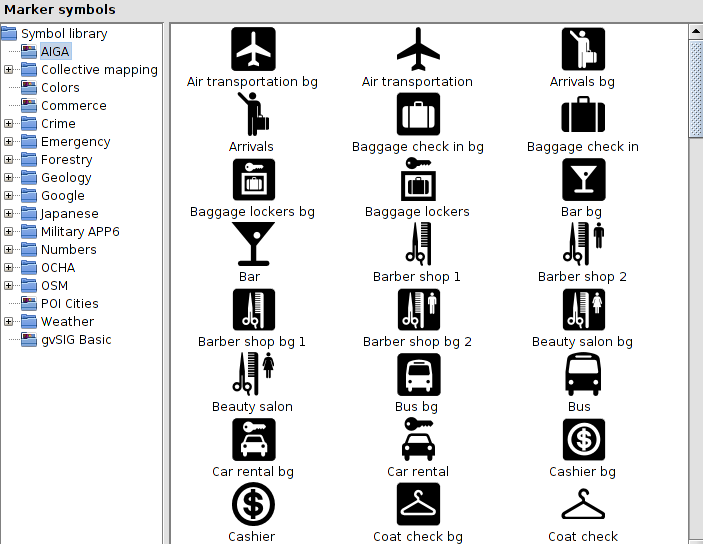 It allows to export to KML, with options for exporting balloons and labels. Halo option for labels. 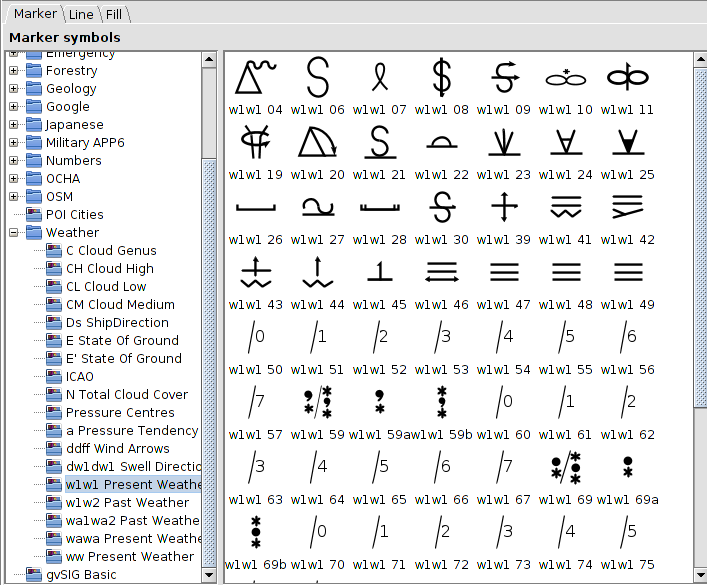 It allows to create a halo for the labels, with colour and size defined by the user, improving the visualization of the texts. 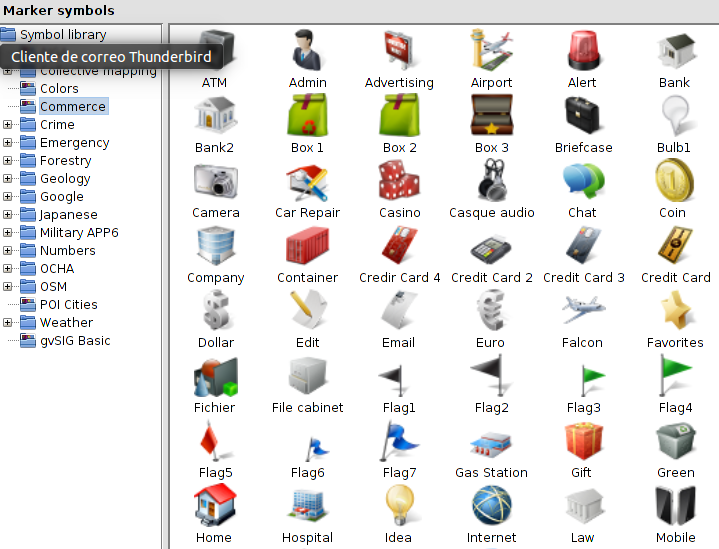 Toolbox: Unified geoprocessing manager. 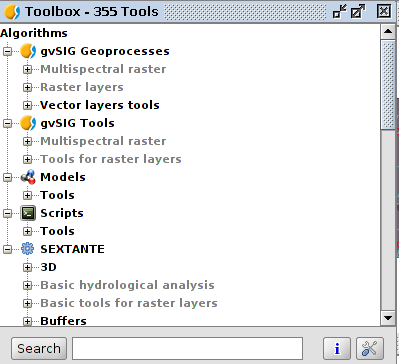 All the vector and raster geoprocesses have been integrated in one only, called Toolbox. One of the advantages is to be able to use all the geoprocesses in the modeller. Alphanumeric editor in Views. 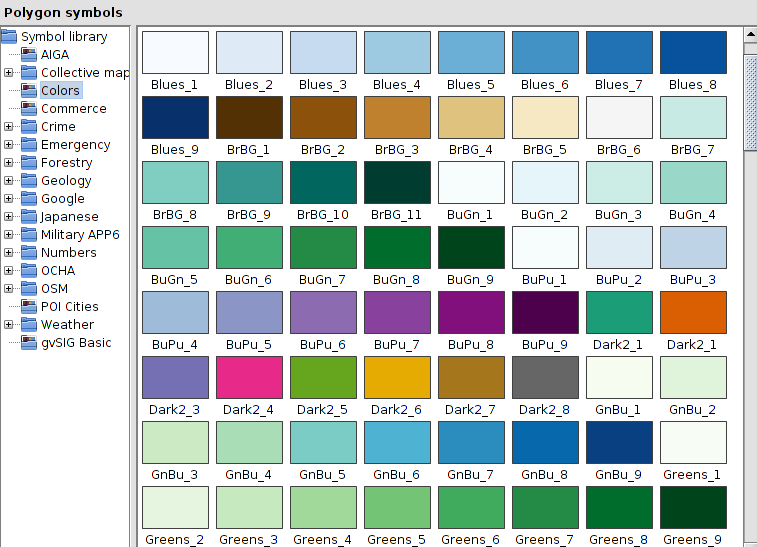 It allows to edit the attributes of any element in one layer without the need to go to its table. MsExcel format supporting as a layer. 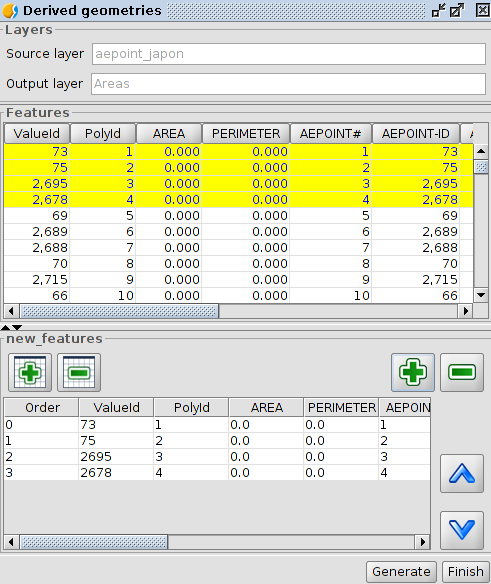 It allows to add Excel sheets as layers. For that, we will indicate the columns with the coordinates. CSV support as Table. 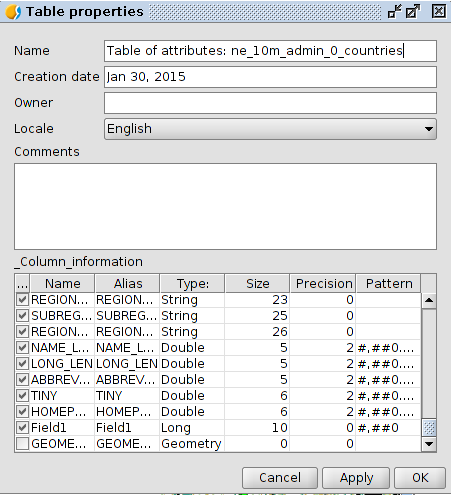 It allows to add CSV files as tables. 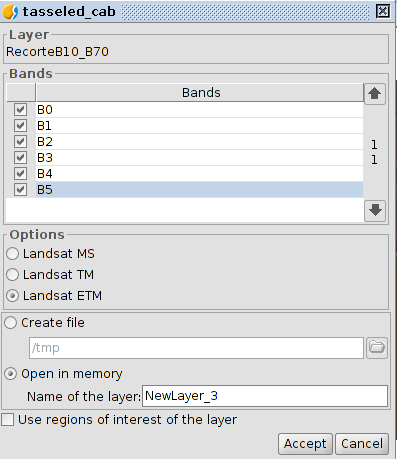 CSV support as layers. 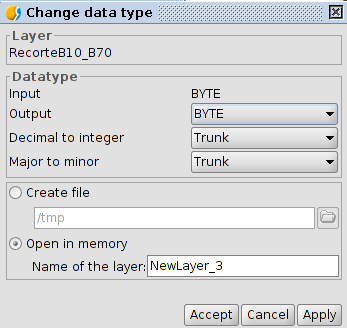 It allows to add CSV files as layers. Improvements in Table properties. The new properties window allows to the user to have all the information about the characteristics of the columns and be able to modify the representing way of the numeric fields. In addition to that, it allows to select the characteristic “Locale” of the table and to point easily which fields we want them visibles. Inside these fields, the “Geometry” filed has been added containing the coordinates of each geometry. Table tools interface improved. 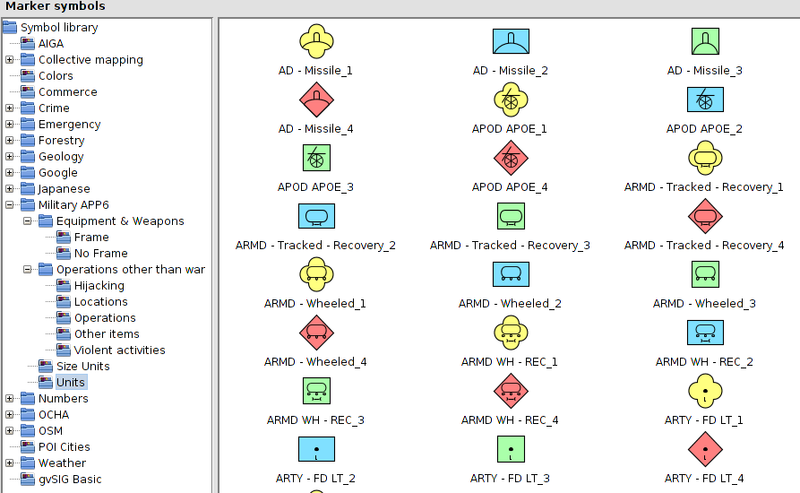 Some changes have been for improving the user experience, such as adding buttons to work with the columns (add or remove) quickly from one table. Linux 64bits support. There is a new Linux distribution for 64 bits, along the 32 bits one. EPSG (projections) database update. 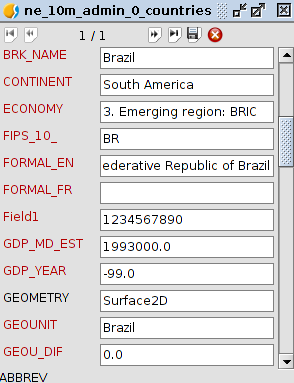 The database has been updated with the addition of several new projections number, news for gvSIG. Import / Export SLD legends. 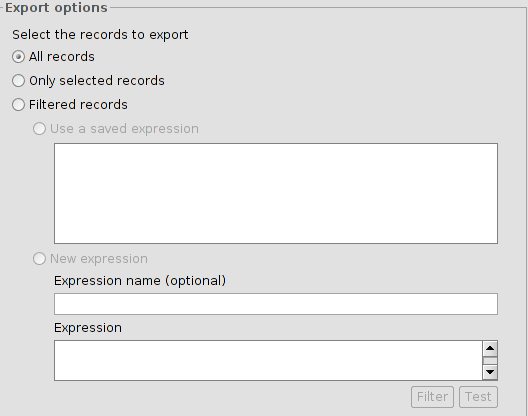 It allows to import/export legends to the SLD standard(Styled Layer Descriptor). Field calculator new features. New features have been added, such as the function which permits to use the brackets in the expressions when they are not being used to indicate a field. For instance, “ [CAMPO1][:10]” would give us the 10 first attribute values . Some gvSIG 1.x features (rec, area or permiter) have been migrated..
New interfaces (create layer, export layer, info…..). 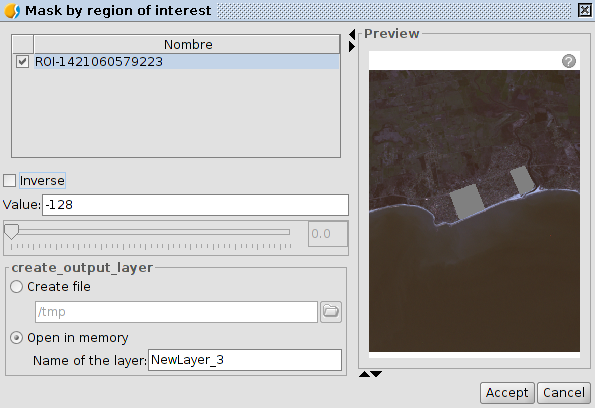 The new interfaces have more options to create layers, export layers or ask for information of one element. Scripting: raster data support. The raster data support has been included in scripting. 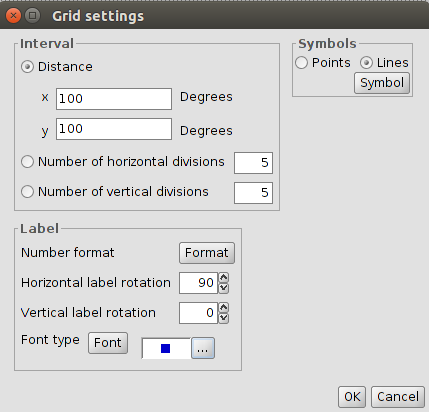 PostGIS connections and support. 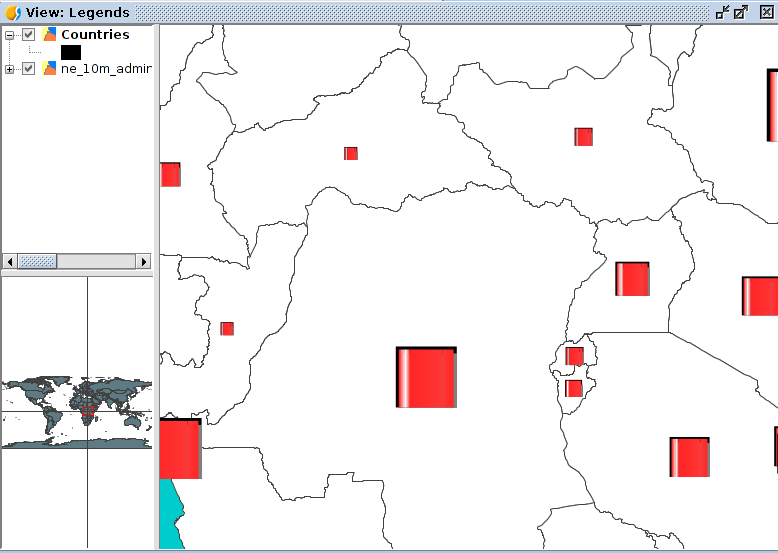 The tools related to PostGIS databases have been improved. 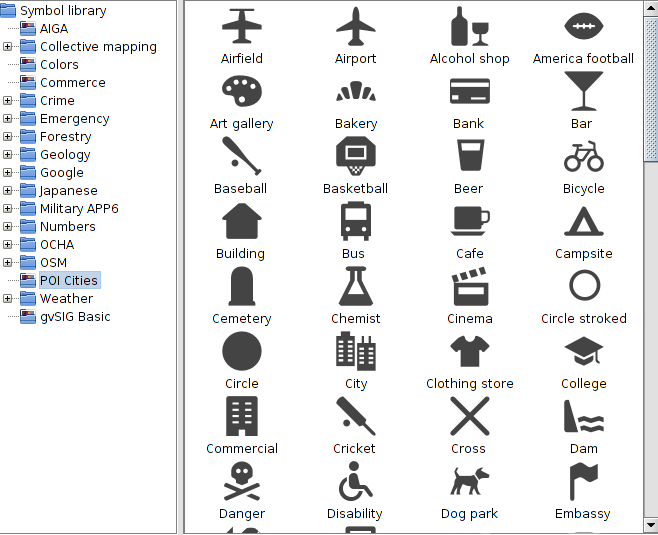 Commerce symbol library. It contains a group of symbols related to business and commerce. Colors symbol library. It has different color scales to represent any kind of data. 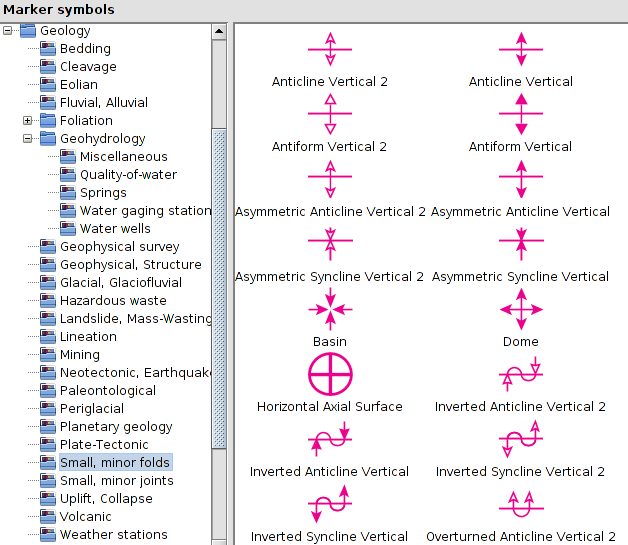 This entry was posted in english, gvSIG Desktop, opinion and tagged final, gvSIG 2.1, new features. Bookmark the permalink. 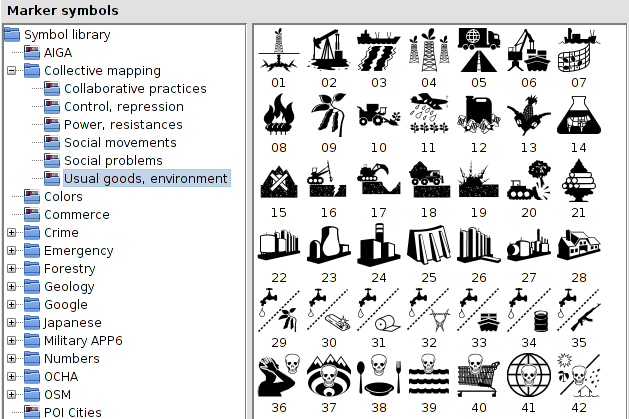 6 Responses to gvSIG 2.1 is here! ¿Podré abrir los proyectos realizados con la versión 1.12 cuando tenga instalado la nueva versión 2.1? No, no es posible debido a que la rama 2.x tiene cambios profundos en la arquitectura de acceso a datos, para mejorar todos los problemas de estabilidad de anteriores versiones.